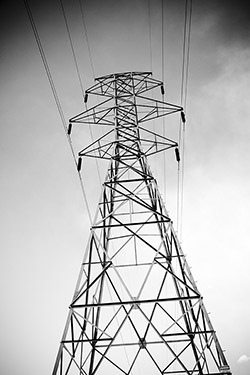 High-voltage bulk transmission lines form the backbone of electricity systems. Transmission lines are designed to carry large amounts of electricity at high voltages, typically 115 to 500 kilovolts (kV), across long distances. Networks of transmission lines transfer electricity from power plants or other interconnections to substations. At substations, the high-voltage electricity is “stepped down” to a lower voltage, which can be carried via lower-voltage distribution lines to residential, business, and governmental consumers. The construction and operation of high-voltage transmission lines are regulated by a variety of state and federal agencies. In addition to electrical system regulations, transmission lines are subject to environmental laws and regulations at the state and federal levels. 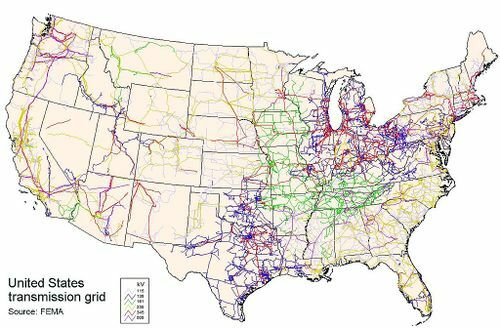 Local zoning regulations and land use plans may also govern the location of high-voltage transmission lines within counties and cities. The West-Wide Energy Corridor Programmatic Environmental Impact Statement (PEIS) evaluates potential impacts associated with the proposed action to designate corridors on federal land in 11 Western States (Arizona, California, Colorado, Idaho, Montana, Nevada, New Mexico, Oregon, Utah, Washington, and Wyoming) for oil, gas and hydrogen pipelines and electricity transmission and distribution facilities. Based upon the information and analyses developed in this PEIS, the agencies issuing the PEIS would amend their respective land use plans by designating a series of energy corridors effective upon signing of the Record(s) of Decision. The purpose of the proposed IIP Process is to establish a coordinated series of meetings and other actions that would take place prior to a Federal agency accepting a high-voltage transmission line application or taking other action that would trigger Federal review, permitting, and consultation or other requirements, such as those required under the National Environmental Policy Act (NEPA), Section 106 of the National Historic Preservation Act, and Sections 7 and 10 of the Endangered Species Act. In October of 2009, nine Federal entities including, the Department of Energy (DOE), the White House Council on Environmental Quality (CEQ), the Department of Interior (DOI), the Department of Agriculture (USDA), the Department of Commerce, the Department of Defense, the Environmental Protection Agency, the Federal Energy Regulatory Commission (FERC), and the Advisory Council on Historic Preservation, signed a Memorandum of Understanding (MOU) increasing their coordination to expedite and simplify building of transmission lines on Federal lands. Outline of the basics of the transmission system in the U.S. Interested in transmission regulations for a particular state? Click on a state to view bulk transmission permitting information specific to that state. This page was last modified on 31 March 2017, at 10:36.